The best bit about this place is that you would get amazing views of the surroundings from the lounge, irrespective of the weather conditions. Come to think of it, how many places can you think of which would offer breathtaking scenery even during a fog? The Jersey Radio tower is one of those few places. The USP of the La Corbiere Radio Tower is, of course, its history. The German High Command had started with their plans to convert the Channel Islands into veritable fortresses in the year 1941 to protect the artillery equipment and get a better command of the sea. Out of the 15,000 towers planned (known as Marinepeilstaden under Mabstellen or MP), only three were completed in Jersey. Our La Corbiere Radio tower was named MP2. Interestingly, such towers are symbols of oppression for many as forced labourers of the Organisation Todt were used to construct these structures in order to prevent the liberation of the occupied areas by the Nazi regime. Today, however, they’re among the most veritable experiences of history, and Radio Tower is certainly one of them. 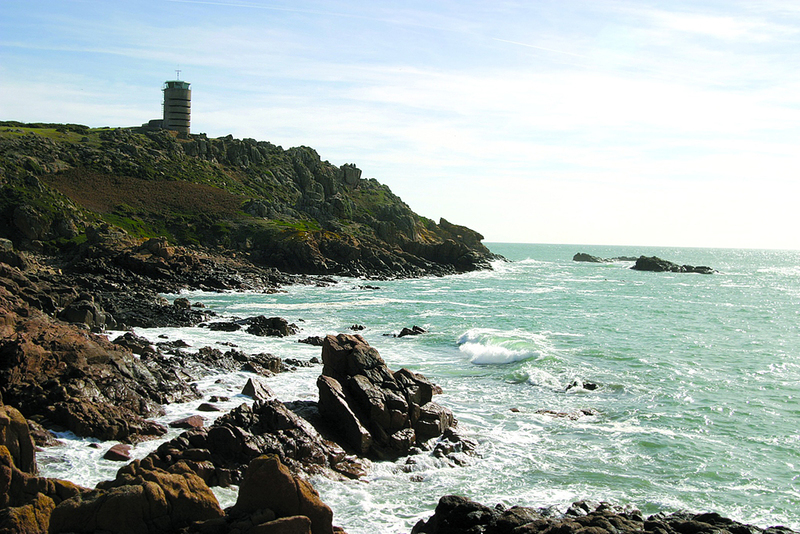 The La Corbiere Radio Tower, then known as MP2, was made of reinforced concrete and is 17.8 metres high. The wall is at least 2 meters thick at any point and was designed soto camouflage as a 18thcentury Jersey granite round tower. The MP towers are a unique feature of the Channels Islands as they can’t be found anywhere else in Hitler’s planned Atlantic Wall. It was built from more than 5,000 bags of sand and its actual purpose was to fire artillery against targets out at the sea. To the east of the La Corbiere Radio Tower is a buried personnel shelter, also built of reinforced concrete. This shelter known as Regalbau Type 622 is one among only three examples of such type of fortifications in Jersey. Unfortunately, for conservation purposes, the entrance to this shelter was blocked up, as were some observation points in the tower. The self-catering facility has been restored in a German Bauhaus style in a bid to preserve its history. The concrete staircase winds up through the centre of the building right up to the sixth floor where it joins with a wooden spiral staircase leading to the top floor. The observation slots on the seaward side of the building and its steel doors have been preserved from the original building and add to its mechanistic demeanor. One of the biggest attractions of the building, the glass-paneled room at the top providing a 360-degree view of the surroundings, was added by the States of Jersey Harbours and Airport Committee who had brought the building under use from 1976. That room actually served as a control room for duty officers to look over radio communications to vessels out there in the English Channel. There is a small room on each floor. Out of five floors, three large bunked bedrooms, three bathrooms and a kitchen have been made out for the guests. The identical bedrooms have been customized to fit the rounded walls of the tower and come with fitted wardrobes. The kitchen is located on the fourth floor and in spite of the austere settings, you don’t need to worry about the food quality as the kitchen is fully fitted with custom workshops and efficientand modern appliances. 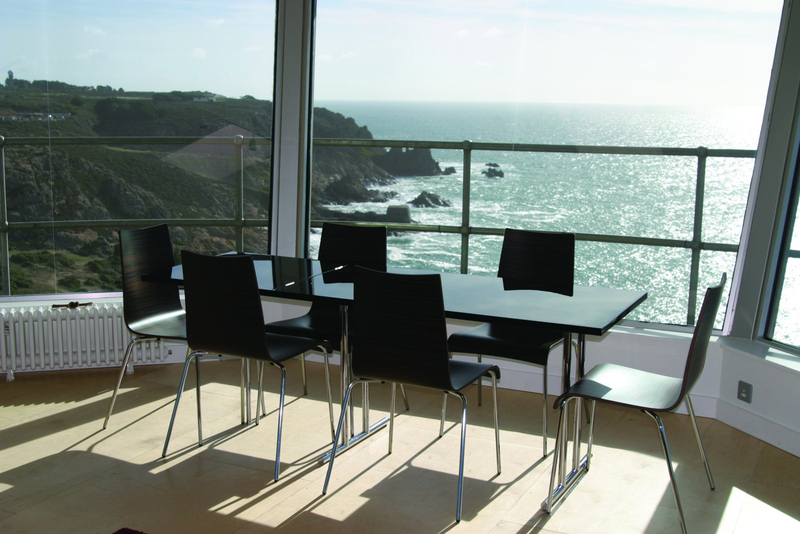 The MP2 tower was transferred to the Public of the Island of Jersey in 2006 for conservation purposes, and it has been functioning as a holiday stay ever since to generate revenue under the management of the Jersey Heritage Trust. 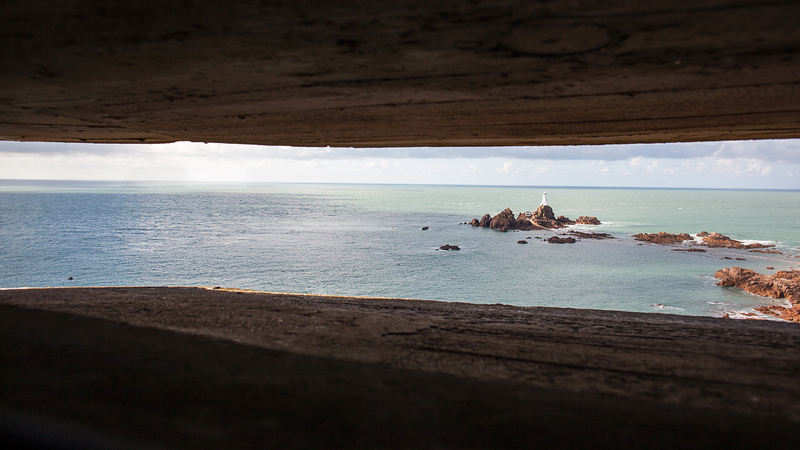 From the Corbiere Radio Tower, you can get amazing views of the surroundings. 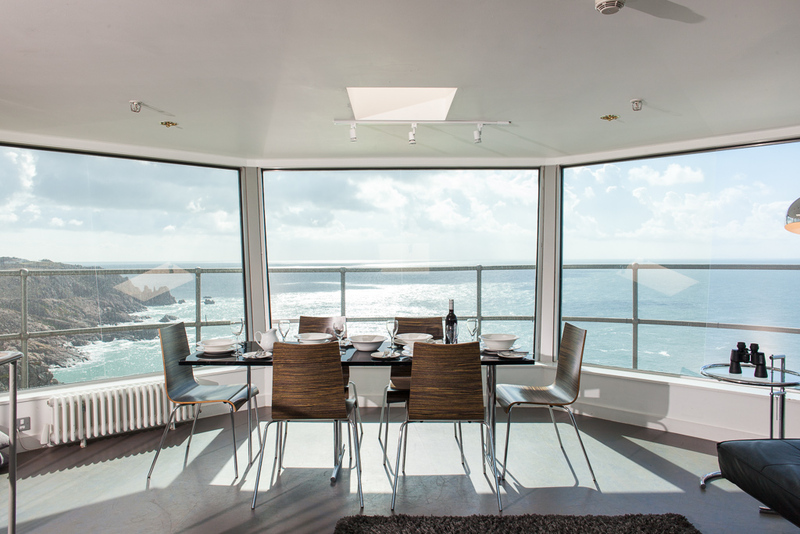 You get a full 360-degree view of the jaw-dropping bay of St Ouen located along the west coast of Jersey, the Gulf of St Malo, and especially the Corbiere Lighthouse from the erstwhile control room of the tower. If you approach the island from the direction of the south coast of England, the first landmark that you would be spotting is the iconic Corbiere Lighthouse on its beautiful pink granite outcrop. The lighthouse was built in 1873 under architect Sir John Coode. It was the first lighthouse in the British Isles to have been made of concrete instead of the traditional stone. It is now operated remotely, and at night you can often glimpse flashes of the signals sent to the vessels out at sea while staying in your room. The light appears for 5 seconds and is white toward the sea and red toward the coast in the north and the east. The ultimate British adventure experience, eh? And if the night is foggy, you will even get to hear the foghorns from the lighthouse at regular intervals from your room. A compressed fog horn replaced the original bell and explosive detonator in 1933 and now, the signal is in the form of four blasts every minute representing the Morse alphabet C. On a windy day, you can take a walk among the cliffs if you want some thrill. A walk along the causeway during a sunny morning when the tide is running low is worth remembering. As the La Corbiere Radio Tower comes with its own parking facility and is well connected by road, you can easily take your own car to the place. Or else you can use the local buses if you want to have the local experience hands on. Jersey also happens to be famous for its water sport activities. In case you get hungry while negotiating those steep heights and the rough terrain, you can easily grab a delicious bite at any of the restaurants and beach shacks which can be accessed via the main road. Or you can get a packed lunch from the Tower kitchen. The place is perfect if you want to indulge in some cliff walking, bird watching, spending your time on the numerous beaches all competing for the best views of the sea. If you are lucky, you can even spot some dolphin pods along the east coast. Watching the boats and ships pass by is a surreal experience, as is going on a marine wildlife trail. And the best bit about the La Corbiere Radio Tower is that you can do all of this from the control room or from the observation points if you do not feel particularly outdoor-ish. This is not a conventional holiday resort. With rates starting from £290 per night and available to a maximum of 6 people at any given point of time, this is an exclusive experience only for those who are committed to off-the-beaten-track experiences. Remember that owing to the building’s unique design, you can hear the wind inside it during rough weather. While this should be an exciting experience for those wanting something unique, some of the guests have expressed discomfort. The place is a strict no-no for small children, the elderly and the infirm as it has some very steep stairs. It can get really cold at certain times of the year, or when the weather conditions are rough. You must be especially careful while booking the living spaces at the top. No smoking or lighting of candles or fireworks is allowed inside the premises. There are no services for the disabled. Pets are not allowed within the premises. There is no WiFi available. 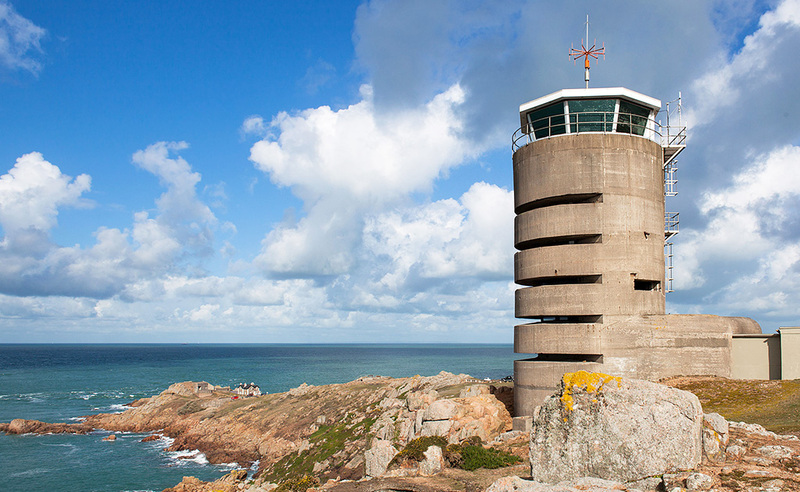 To get the best out of your stay at the La Corbiere Radio Tower, make sure to put in these things while packing your luggage- torches to explore the nooks and crannies, beach bags, binoculars, and equipment to help you walk through the rough and often wild terrain. The booking is strictlyrestricted to holiday purposes, meaning you cannot book the place for weddings or parties. As the tower is situated at a secluded spot and lacks many advanced facilities which are required of modern buildings, you should conduct yourself and your near ones with care during your time of residence here. Give this place a miss if you are not feeling particularly well. You cannot erect tents or marquees or other such temporary structures in or near the tower. Don’t take this to be a camping opportunity. So, if you are bored of the same formalities everywhere, and if you want to experience something that would take you closer to nature while speaking of history, you should definitely not miss out on La Corbiere Radio Tower at Jersey. Very popular among couples, this is an ideal location if you want to escape to somewhere beautifully secluded for a few days with your loved one.